During World War II, the P.O.W. 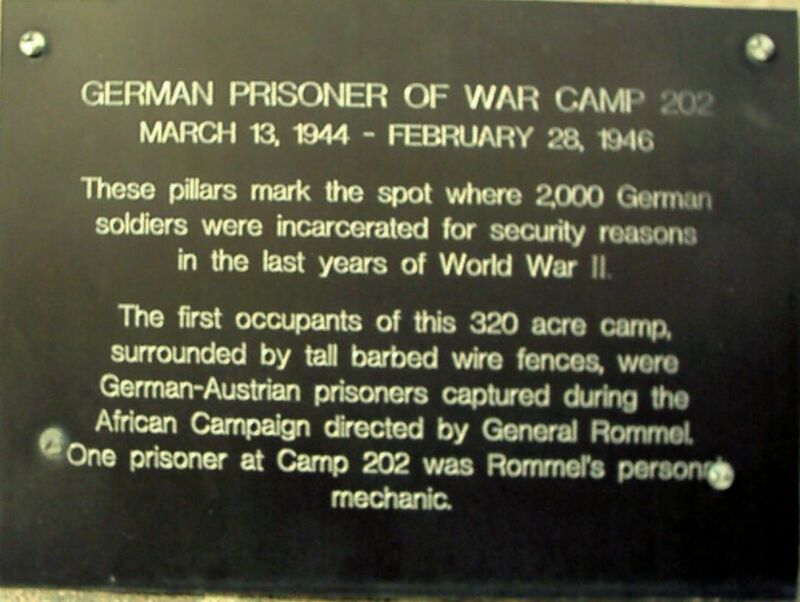 camp had prisoners from Germany and Austria. (P.O.W. 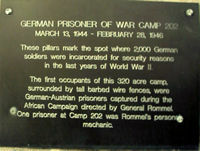 means Prisoner of War) The camp was built in 1943, and the first prisoners came in 1944. The camp was a town to itself. It had a firestation, hospital, theater, library and classrooms. It also had electricity, water and sewers. The prisoners were treated well. Many worked in the fields and earned money to take home with them. They also had soccer teams. They dyed their t-shirts different colors using homemade dyes from vegetables. They had classes in English, German, and math. Some men were in the camp orchestra and others sang in choir. 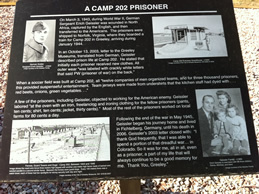 When new prisoners came to camp, they would try to find men from their hometowns. 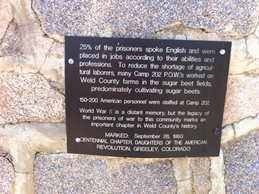 The story is told that the old prisoners would toss out gum or paper with their names and address. One day a father and son found each other from the tossed notes. 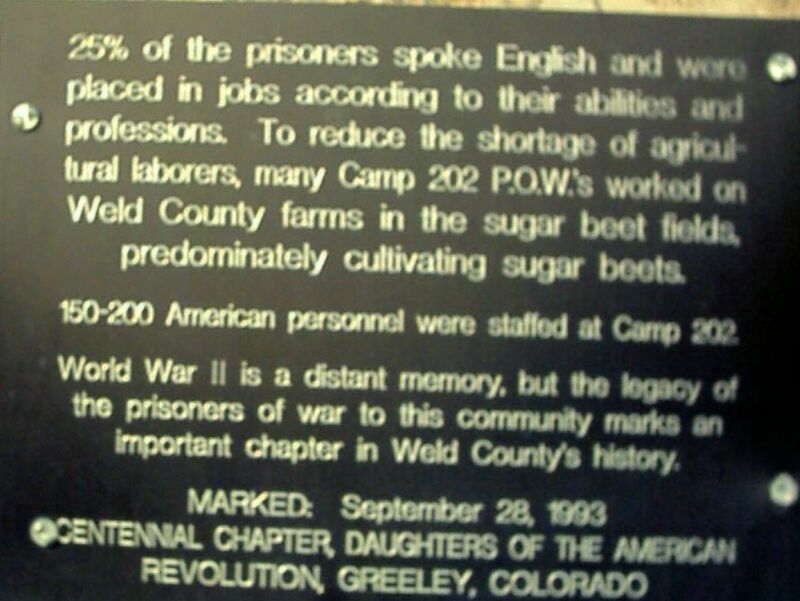 The war ended, and the Prisoners were sent home. 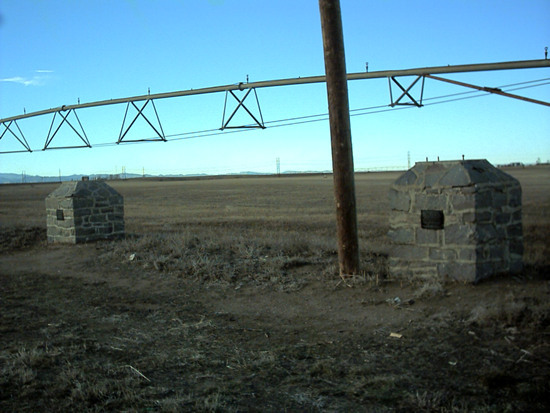 The camp was taken apart The only parts that remained were the two pillars which were gate posts to the camp. 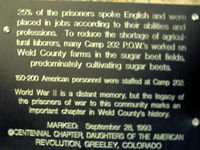 Other parts of the camp were sold to cities and towns nearby. The apartments on the corner of 23rd Avenue and 9th Street were some of the old barracks. They were cut into two to make the apartments. 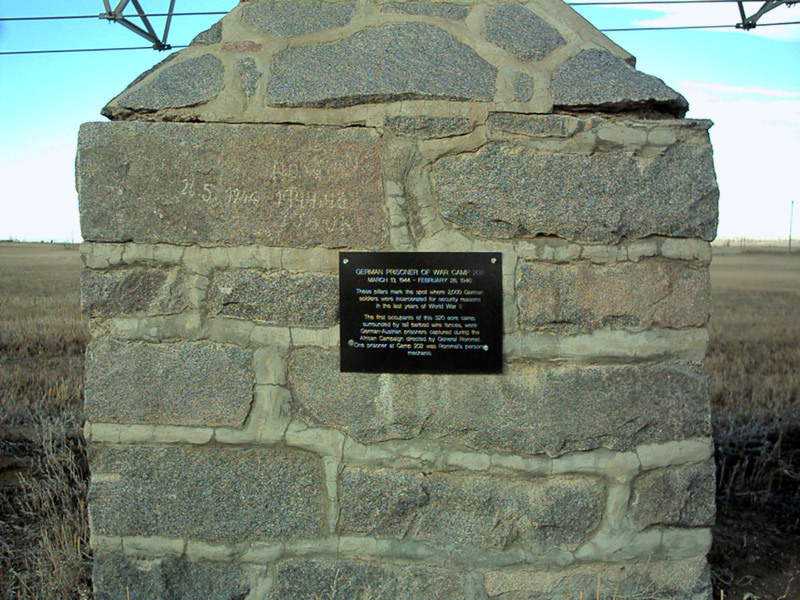 Most people did not know the story about the pillars. 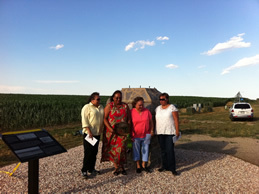 In 2005, a group of people worked to get them on the State Historic Register Register. 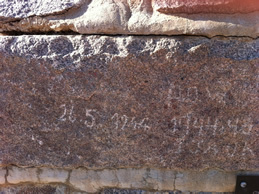 The Daughters of the American Revolution had put markes on each pillar in 1993. 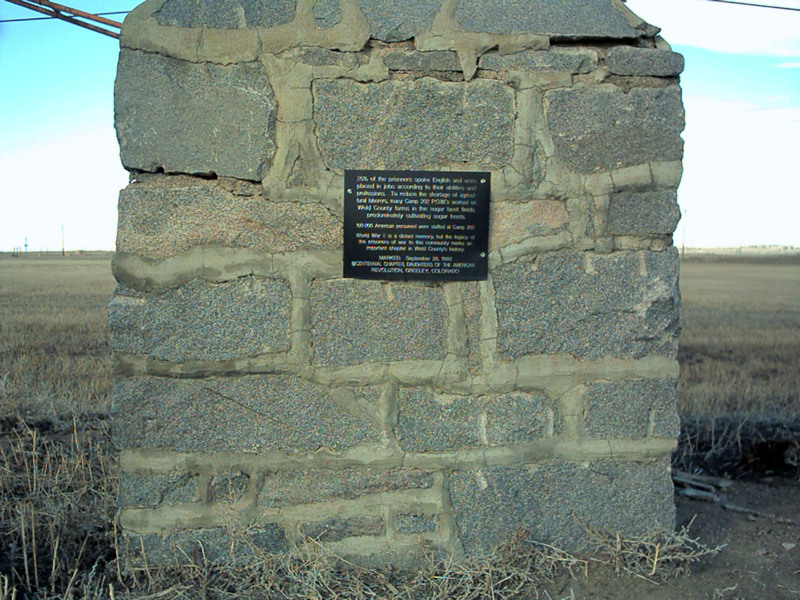 The pillars had to be moved. The highway was too narrow. The road was to be widened and that meant the pillars had to come down. But many people worked together to save the pillars. They found a location for them. The Department of Transportation carely moved them to a new location to wait for the roadwork to be finished. The pillars now have a home. 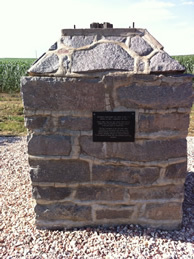 You may see the pillars and read about their history. 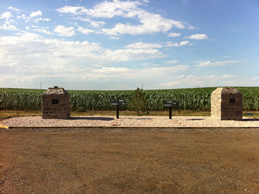 They are in a pretty landscaped pull-out off of highway 34. 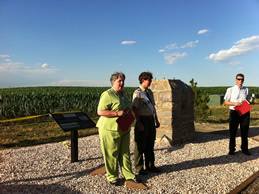 July 25, 2011 was the ribbon cutting ceremony. 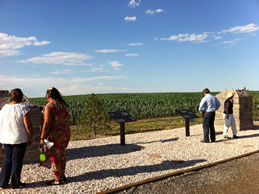 The people and groups who played a part in saving this piece of not only Greeley's history, but US history gathered together to tell stories and see the new home. 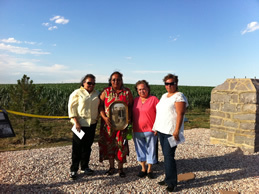 Four sisters came to the ceremony. 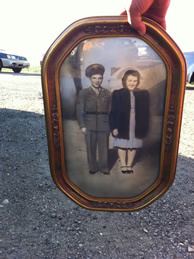 They brought an old photograph of their parents on their wedding day. Their father (Harry Rivera) was an Army guard at the P.O.W. camp. 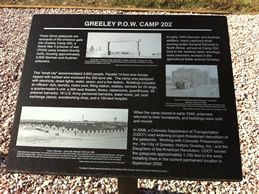 During his time off, he would go into Greeley. He met their mother (Clara Rivera) in town. They got married and had their wedding dinner at the camp. The prisoners cooked the meal. 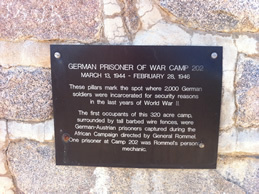 Here are the markers for the POW camp that housed German and Austrian prisoners during World War II. 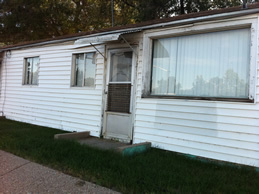 This is their original location. 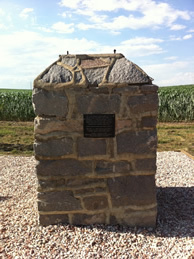 These are the two markers for the camp. Click on the thumbnail to see a larger picture. 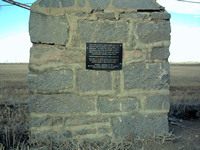 These are the two plaques on the markers. Click on the thumbnail to see a larger picture. 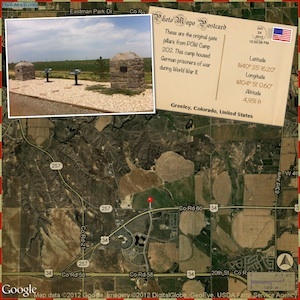 As of Monday, September 8, 2008, the pillars which have stood along highway 34 have been moved. The highway is being widened so the pillars needed to be moved. They will be reset west of their original location with a parking lot for visitors. 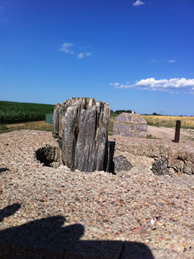 They will still be on land that housed the POW camp. 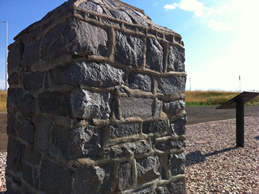 It should also be easier for visitors to see the pillars and to read the plaques. Each pillar weighs close to 20,000 pounds! Until the pillars are reset in their new location, they will be stored and are wrapped in heavy cardboard to protect them. 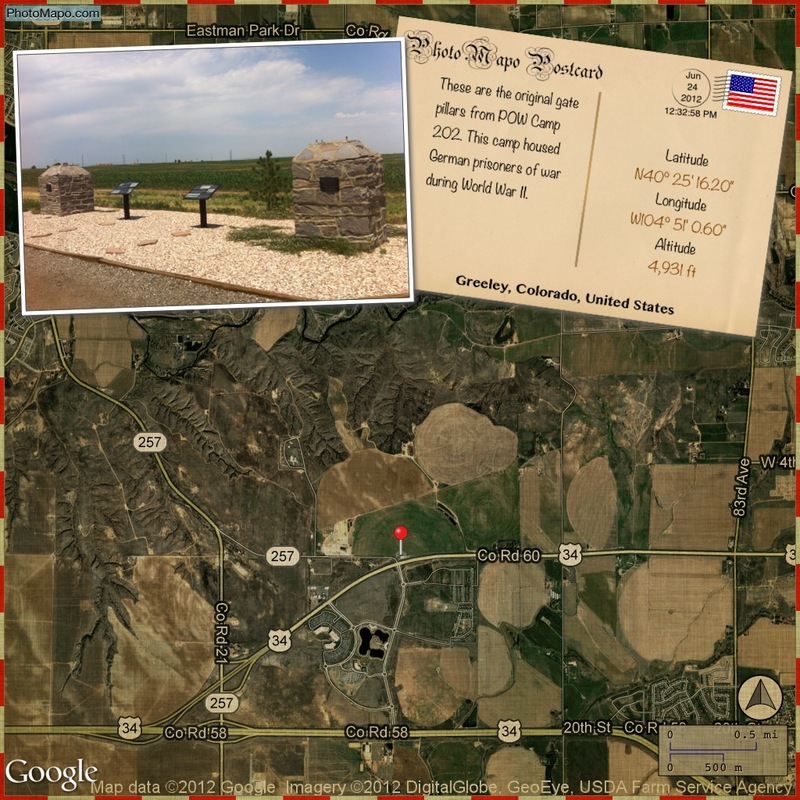 Presenting the Eagle Scout, Travis Anderson, who landscaped the site to the group Here is where you can find the POW pillars today. The old barracks (where the prisoners lived) are now apartments. 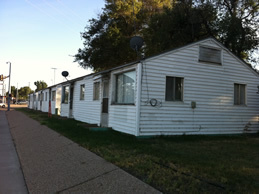 The barracks were cut in half to make each unit.